We’d love your help. Let us know what’s wrong with this preview of The Stars and the Blackness Between Them by Junauda Petrus. 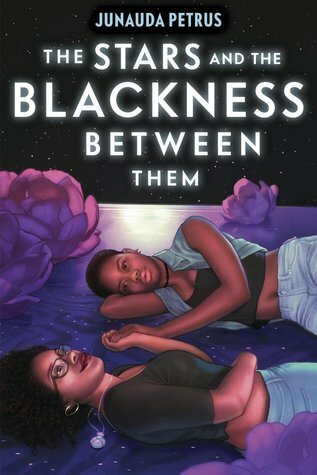 Told in two distinct and irresistible voices, Junauda Petrus’s bold and lyrical debut is the story of two black girls from very different backgrounds finding love and happiness in a world that seems determined to deny them both. Trinidad. Sixteen-year-old Audre is despondent, having just found out she’s going to be sent to live in America with her father because her strictl Told in two distinct and irresistible voices, Junauda Petrus’s bold and lyrical debut is the story of two black girls from very different backgrounds finding love and happiness in a world that seems determined to deny them both. Trinidad. Sixteen-year-old Audre is despondent, having just found out she’s going to be sent to live in America with her father because her strictly religious mother caught her with her secret girlfriend, the pastor’s daughter. Audre’s grandmother Queenie (a former dancer who drives a white convertible Cadillac and who has a few secrets of her own) tries to reassure her granddaughter that she won’t lose her roots, not even in some place called Minneapolis. “America have dey spirits too, believe me,” she tells Audre. Minneapolis. Sixteen-year-old Mabel is lying on her bed, staring at the ceiling and trying to figure out why she feels the way she feels–about her ex Terrell, about her girl Jada and that moment they had in the woods, and about the vague feeling of illness that’s plagued her all summer. Mabel’s reverie is cut short when her father announces that his best friend and his just-arrived-from-Trinidad daughter are coming for dinner. Mabel quickly falls hard for Audre and is determined to take care of her as she tries to navigate an American high school. But their romance takes a turn when test results reveal exactly why Mabel has been feeling low-key sick all summer and suddenly it’s Audre who is caring for Mabel as she faces a deeply uncertain future. To ask other readers questions about The Stars and the Blackness Between Them, please sign up.